Margaret Gisolo has enjoyed a long and distinguished career in athletics and the arts. However, it was her RBI single while playing American Legion Baseball at the age of fourteen that sent the world of youth athletics spinning and helped open the door for increased acceptance of women in sports. On June 18, 1928, Gisolo’s Blanford Cubs took on the Clinton Babtists to crown the champion of Indiana’s Vermillion County. In the top of the 12th, Gisolo knocked in the winning run with a single to right. Clinton protested the loss, saying that the League was reserved for boys only. A three-man commission, including Baseball Commissioner Kenesaw Mountain Landis, eventually ruled in favor of Gisolo’s Cubs. The team eventually went on to capture the Indiana State Championship. Because of Gisolo’s accomplishments and the high profile of the case, thousands of girls across the country signed up for American Legion Baseball. After graduating from Indiana State, Gisolo rose to the rank of Lieutenant Commander in the Navy. In 1954 she became director of the Arizona State Dance Program and quickly transformed it into one of the best dance schools in the country. In the early 90’s Gisolo won two US senior tennis titles. 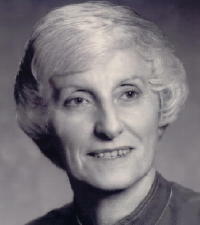 Margaret Gisolo was inducted to the National Italian American Sports hall of Fame in 2004.